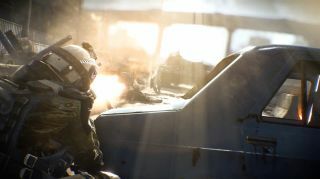 What's the best way to introduce more footage of Warface, Crytek's upcoming free-to-play multiplayer shooter? It's definitely not a combination of carefully choreographed combat interspersed with way too many camera cuts to a coin, a coin flipping through the air, a coin rolling over fingers, or a coin just sitting there. Nope, what we need is—oh, fine , Crytek, I guess you can somehow show us both more of the game and the symbolic importance of disc-shaped currency. It's not like your competing in the lens-flare-blasted theatrics market or anything, sheesh. Thanks, RPS . We put our hands on Warface a while back, and you can check that out , too.